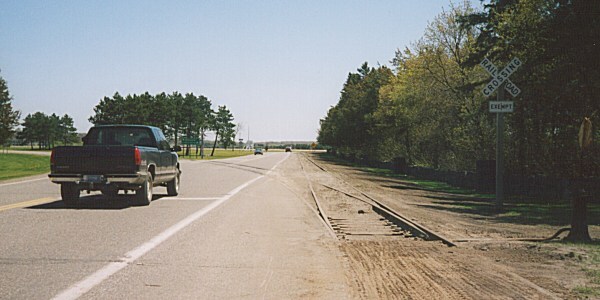 Prior to 2005, MN 115 ended at a 3-way "Y", intermixed with some railroad tracks. 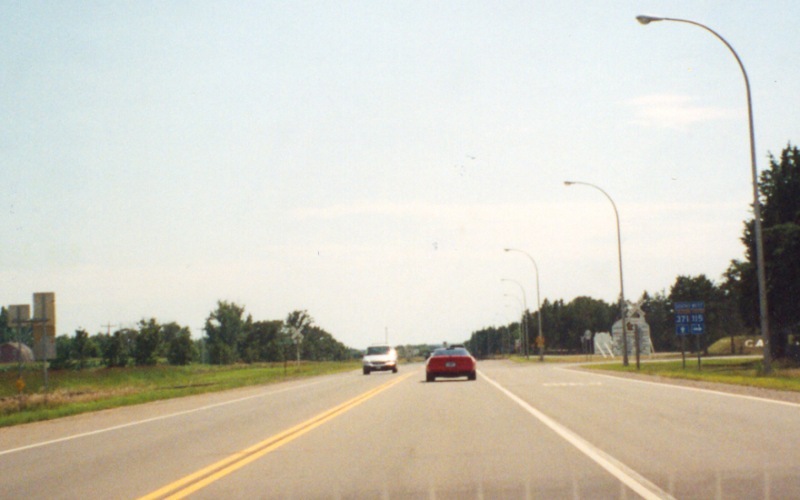 A new MN 371 alignment was completed in 2005 as part of the MN 371 4-laning project. Photo by Monte Castleman, taken May, 2002. Here's the view from southbound MN 371 prior to the 4-lane construction. Photo by Adam Froehlig, taken August 8, 2002.